Misclassification occurs when an employer incorrectly identifies a worker as an “independent contractor” rather than an employee. 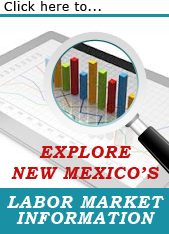 With respect to Unemployment Insurance, New Mexico uses both the “ABC test”, which is found in New Mexico statute, as well as the “Economic Realities Test,” which is found in the Fair Labor Standards Act (FLSA). Those tests are used to determine whether a worker is an independent contractor or an employee. For employers, it is important to remember that no one factor in these tests can be weighed more heavily than the other factors when making a decision. C. Such individual is customarily engaged in an independently established trade, occupation, profession or business of the same nature as that involved in the contract of service. N.M. Stat. § 51-1-42(F)(5). For additional information, contact your local tax representative whose contact information is provided when you log into your account in the Unemployment Insurance Tax & Claims System. Misclassification and Unemployment Insurance tax-related questions can be submitted to uitax.support@state.nm.us. You can also speak to a Customer Service Agent via 1-877-664-6984, Monday through Friday from 8:00 a.m. to 4:30 p.m.